The one resource every prepper must have is a good bug out location. Some people even hope to completely relocate their family to their bug out location full-time before SHTF. The type of property you choose for your bug out location will depend on how you intend to use it, how large your family or survival group is, and your skill level with the tasks needed to maintain a survival property. No matter how you intend to use your bug out location, the steps are the same. You must find it, prepare it, and protect it so that you can keep your family safe and secure during chaotic times. Finding the perfect bug out location can be a little overwhelming, there are some common desirables, but there are also a lot of things to consider. So, let’s break it down and see what each of those steps entails. How you ultimately search for and find your bug out location is less important than the criteria that you use to select your bug out location. Some people find their bug out location using a traditional real estate agent; some people find their bug out property by shopping online; others rely on friends and family to alert them when a property comes available. You may find free land that works well or want to drive around an area you like looking for “for sale” signs. No matter how you find your property, there are some key criteria to consider. Distance from home, location threats, and geographic resources are three key things to consider for any bug out property. As with any land purchase, no property will be perfect, so it’s best to consider all the criteria and then make informed compromises based on your unique needs and situation. You may find a property, for example, that has everything except a fresh water source so you would have to decide to either invest in drilling one or more wells on the property or look for a different property. Or perhaps you find the perfect property located closer to a major interstate than you’d like to be, but you’re okay with ramping up security to defend it. Those are the trade-offs you may need to make once you find a property you like. 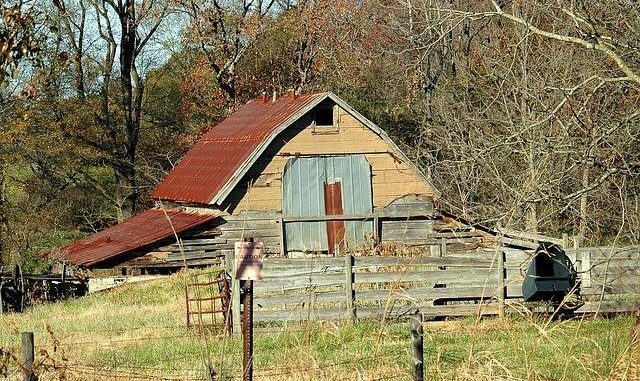 The ideal location will be one where you and your family can be comfortable and be as self-sufficient as possible when SHTF. If your property doesn’t have a water source and you must make a run for water every other day or so, you are putting family members at risk every time they leave the property. It’s best to find a location where you can grow or forage everything you need to supplement your stockpile. The ideal bug out location is no more than five days’ travel from your home location if you had to walk. The average adult can travel on foot for about 10-12 miles per day and no more than 50-60 miles in five days. This distance can be significantly less if you have children or elderly in your group or if you are not as physically fit as an average adult. When figuring driving distance from home, your bug out location should be no farther away than you can travel on one tank of gas. Make sure you have an accurate estimate of your car’s gas mileage based on its age and condition. Gas stations will quickly become clogged with desperate people or will be inoperable. It’s a good idea to plan for storage and transport of additional fuel in your bug out vehicle just in case you are stuck in traffic or must take a longer route to get to your bug out location due to road blocks, debris, or other unpredictable danger. When a crisis hits, lots of people are going to panic. Some will have prepared, but many will not have prepared enough and much more will not have prepared at all. All major cities and especially high-density population cities will become danger zones. As water, food, and medicine become scarce in these high-density population areas, people will leave the city in droves. These hordes of people referred to as the “golden hoard,” will be scared, hungry, and desperate. They will flee the city by car and on foot in search of food, water, and other resources. Ideally, your bug out location should be 50 to 150 miles outside of these hot zones. These desperate people will become one of the biggest threats to the security of you and your family. The farther you are from these high-density population areas, the less likely it is your retreat will be overrun. The Eastern half of the United States has three to four times the population density of the Western half of the United States. On the West Coast, Seattle, San Francisco, and Los Angeles have the highest population density, and the coastal areas of Massachusetts, New York, New Jersey and Maryland have the densest population in the entire United States. Consider the routes these massive numbers of people will take out of these cities when choosing your bug out routes and location, make sure you are as far out of range as you can get. Your bug out route and your retreat location must avoid relocation bottlenecks as much as possible. A relocation bottleneck is an area such as a bridge, exit ramp, railroad crossing, mountain pass, or mountain tunnel, including areas with only a couple highways that must be used to leave the city. A high-density population city with only two or three roads in or out is a relocation bottleneck because those routes will quickly become jammed with vehicles and people. When SHTF and people begin to flee their homes in search of food, water, and safety, the majority will instinctively use main interstates and highways. This means not only will main interstate roads and highways become clogged with traffic, but the areas off these main roads and interstates will become clogged with people on foot who were forced to abandon their cars as they run out of gas. The average person will travel 5-7 miles on foot from highways, interstates, and even county roads as they look for food, water, or shelter. Your bug out location needs to be outside of this range so you can avoid being overrun. Your bug out location should be a good distance from any geographic dangers such as volcanoes, river valleys or lowlands that are prone to flooding, areas prone to wildfires, or mud or rock slide areas. In addition to geographic dangers, avoid choosing a location that is frequently hit by hurricanes, tornadoes, drought, or other natural disasters. It goes without saying that the areas near nuclear power plants may become dangerously unstable during an extended power outage. Yes, nuclear plants have numerous backup systems in place that will kick in when the power goes out, but as the power outage continues, the possibility of system failure increases. When you find a property that you are considering for a bug out location, check to see where the nearest nuclear plants are located and make sure you are far enough away to survive a blast and subsequent radiation residue. No matter which country you choose for your bug out location, make sure that you take into consideration any military targets in the region. Our enemies will target military bases, government headquarters, major urban centers, and other locations it perceives as a threat. When those military targets are hit, you don’t want to be anywhere near those areas. Ideally, the property you choose for your bug out location will be at least partially wooded. This gives you a source of wood to use in your fireplace or woodstove. A property that is partially wooded also means that you will have at least some wood available for building purposes if needed. Wooded areas are also beneficial because you can hunt, trap, or forage additional food to supplement your stockpile. If you cannot buy land that has wooded acreage, try to buy something that is adjacent to a State or National Forest area. Your bug out location should have at least one source of fresh water that you can draw from not only for drinking but for watering plants, cooking, and personal hygiene needs. This could be anything from a well (have a hand pump available) to a pond, a spring or stream that runs all year, a river, or large lake. The best fresh water source is one that is less vulnerable to contamination such as chemical or sewer waste run-off, so an underground spring on your property is ideal. Moving water is better than standing water because it’s easier to take advantage of the kinetic energy to generate power if needed. If you cannot buy property that has a fresh water source on it, look for property that is within five miles or less of a fresh water source. It should be remote and yet close enough that you could walk or drive daily and haul water back to your bug out location. When collecting water, go to the highest point or as close to the head of a stream or river as possible because the chance of contamination from things such as dead animals, human or animal waste, etc. is less. Rainwater collection is another good way to store water, but it should be your backup plan and not your only option for fresh water. Ideally, your bug out location needs to be stockpiled with enough food and water to last you and your family at least one year. If budget is an issue, purchase extra supplies a little at a time and add them to your BOL stockpile. Include not only healthy survival foods, but seeds, medicine, extra clothing, weapons, and blankets. In addition to that, you need to plan for and begin preparations for ways to feed your family after your stockpile runs out. Another way to prepare your bug out location is to plan and plant a survival garden or ideally a food forest. A food forest is good for a bug out location that you will only use occasionally until SHTF. Food forests need very little maintenance after the first year or so, and because your food is part of the forest, it is hidden from sight which means looters and other desperate people won’t even know it’s there. One mistake some preppers make is that they believe that all they must do is stockpile enough food and water at their bug out location and everything will be okay. Nothing could be farther from the truth. When SHTF and you get to your bug out location, you will need alternative systems for a lot of things. You will need to have an alternate method for cooking, for refrigeration, for power and even for washing dishes and taking a shower. A solar power, wind power or even a hydro-powered system can solve many of these issues, but these alternative systems need to be setup and tested in advance. You will also need to get in the habit of using less electricity, less water, and even eating different foods than you may have eaten at home. Make sure that you consider and prepare these alternative systems and procedures for your bug out location and make sure every family or group member is ready to implement them. When SHTF, there is very little chance that you will have time and space to transport all your tools and equipment from your home or garage to your bug out location when you evacuate. Also, there will be tools and equipment you will need at your bug out location that might have been impractical for your home and yard. Make sure you stock your bug out location in advance with the tools and equipment you will need to make repairs to your shelter, outbuildings, fences, solar panels, etc. If possible get a property hidden from the road by trees, shrubs, and other natural barriers. Look for a property that is on higher ground, such as on or near the top of a ridge or hill so that you have a clear view of anyone approaching the area. The steep ground also helps to slow the approach of your attackers which can give you time to pick them off from higher up. The Higher ground may also serve to deter any looters and desperate members of the golden horde that are looking for food. They will be hungry but exhausted and a long climb up a hill on the off chance they will find food may be enough to push them on to the next house. Another way to defend your property using natural resources is to use landscaping to deter people from exploring. Instead of high fences with barbed wire that lead looters to believe you have something worth protecting, plant a firethorn hedge. It can grow as tall as fifteen feet and has thorny stems, so if planted around the perimeter of your home, it becomes virtually impenetrable to all but the most determined looters. There are other types of landscaping you can do to try and keep people away from your property and your home. Research to find the right combination for your property and climate. You can also hide things from the sight of those on the road, so they don’t realize there is food on your property. Hide planted vegetables behind a hedge or deep within a food forest. Plant a garden of decorative edibles and plants that many people won’t recognize as food. Still another way to use nature to deter looters and desperate people from ransacking your home is to plant some wild edibles along the road on either side of your property. The hope here is that hungry looters will devour the wild edibles within easy reach to fill their stomachs and then continue up the road rather than hike up your driveway to see what you may have. If you have the mindset for it, you can also plant poisonous wild plants along the road edge of your property to try and entice hungry looters. If they eat the poisonous plants and become sick, they won’t be focused on looting your property any longer. Record dogs barking and growling and have a battery-operated player on hand and turn it on when you are alerted to people on the road near your property. Some people are afraid of dogs and will move on to the next house if they think dogs are a threat. Or even better, get a set of guard dogs and keep them near the entrance to your property. Use debris around your yard or land to push intruders through a certain area where you can easily ambush them or pick them off with a gun from an upstairs window. Board up first floor doors and windows to make it more difficult for intruders to enter your home without making some noise that alerts you. Keep a rope ladder inside on the second floor in case you and your family need to get out quickly. Make your property and house look like it is abandoned and has already been picked clean. Paint graffiti on the outside of the house or the word “Quarantine”, leave mail or newspapers piled up near the mailbox or on the front step, or collect debris from other areas and use it to litter your yard or block your front door or walkway. Collect some long snake skins or realistic looking fake snakes and coil them near the front door and lay some on the walkway to make it look like there may be more snakes inside. Spray the area near the road with skunk spray at night. If looters think a skunk is on your property, they may keep moving to the next house rather than risk a confrontation. When it comes to actively defending your property, make sure that you are prepared with enough guns and ammunition and even some weapons to defend it adequately. Once you engage looters in a fight, you have no choice but to keep fighting until someone wins or loses. Depending on who you are up against and how prepared they are, a gun battle could go on for a long time. Know how and where to store your ammo stockpile so it will be ready when you need it, and you can rely on it to be in good condition. So, to have a secure, stable bug out location, you first need to find it, prepare it, and then protect it. There is no right or wrong way for you to choose your bug out property. The key thing is that you consider as many factors and threats as possible and try to plan accordingly. Just like with other areas, preparedness will be a key factor to survival for you and your family. “plant poisonous wild plants along the road edge of your property to try and entice hungry looters”.. ridiculous and calloused remark. Some of those hungry looters may have innocent children with them, who will eat from your poisonous plants. “Record dogs barking and growling”, “fake snakes and coil them near the front door and lay some on the walkway” …LOL seriously? “plant poisonous wild plants along the road edge of your property to try and entice hungry looters”.. I wouldn’t call the tactic ‘ridiculous’ but I do think it ineffective….it takes hours, sometimes days, for poisonous plants to ‘work their magic’. I would want the ‘horde’ moving on as quickly as possible so I will not be planting any edibles along the roadside, poisonous or no.. Calloused? I think not. We’re talking survival here….those ‘innocent’ children have parents willing to do anything to provide for them. What wouldn’t you do for your children? Children are the responsibility of the parents, not society; and certainly not the responsibility of those who have planned and prepared. The ‘looter’ parents who find themselves in this scenario saw the same events I did and had the same amount of time I had to prepare; the consequences of choosing not to is on their shoulders. I have no desire to cause harm to anyone, especially a child, but in a societal collapse my first obligation is to my family, my neighbors and my community; in that order. I will not be running a shelter for the huddled masses that felt hd TV, smart phones and mall shopping were the important things in life. If something happens I vote for winter. It will keep the masses from moving at will and give us plenty of time to plan for the following winter. Sounds callous, but we are discussing survival. Bugging out should be plan B. When to bug out is biggest problem.